The internet is all afire about Huy Fong’s Sriracha Hot Sauce lately and I’m still fired up (no, not from the consumption of the chili sauce), but from all the headlines on the internet. The New York Times calls it “A Chili Sauce to Crow About”, “The United States of Sriracha” and ” The All American Sauce” and has an open call for yet to be unidentified Sriracha sightings (USS). I simply called it – Cult Sriracha. All the spicy fuss has made Huy Fong’s Sriracha a cultural phenomenon and an American institution that can be found in dishes beyond your imagination. Almost every HF Sriracha junkie has a special dish they call their own. From Sriracha spiked hot dogs, hamburgers, pizza, tacos and sushi to more elaborate inceptions by Jean-Georges Vongerichten, everyone finds sweet and spicy comfort in this bottle of red gold. 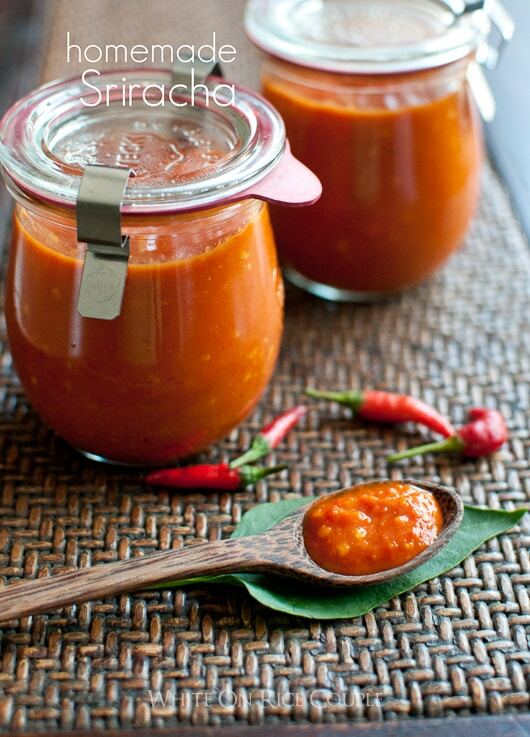 Click Here for: homemade sriracha hot sauce recipe. Almost every HF Sriracha junkie has a special dish they call their own. From Sriracha spiked hot dogs, hamburgers, pizza, tacos and sushi to more elaborate inceptions by Jean-Georges Vongerichten, everyone finds sweet and spicy comfort in this bottle of red gold. My food salvation and comfort is mixing my homemade Sriracha style hot sauce with some mayo. Beads of sweat start to roll down my forehead as I watch the spicy red gold swirl through the creamy layers of mayo, until it becomes a salmon colored bowl of treasure at the end of a rainbow. If there were any Leprechauns at the end of this chili rainbow ready to snag my spicy mayo, I’ll kick their little elfin asses. Oh, yes I would. Finally, the clencher is dipping the second love of my life, fried potatoes (Todd is my first love, of course), into the sauce and I am screaming for joy. 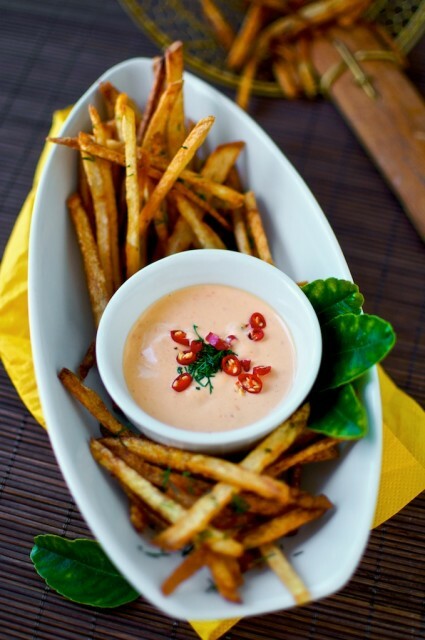 French fried potatoes dipped in creamy chili hot sauce is a manifestation of starch, fat, spice and richness. I think I’m in need of therapy. This Cult Sriracha, Cult Red Rooster thing has gotten the best of me. Call 911, send help. But let me finish my plate of spicy, creamy comfort first. Awesome and beyond, here’s some goods for the Sriracha lover! 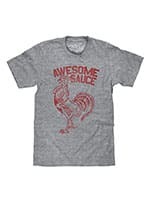 Awesome Sauce T-shirt – It is and we love it! 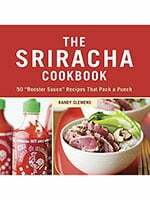 The Sriracha Cookbook by Randy Clemens – Take your Sriracha love to new heights. You’ll put find new ways to spread the love. 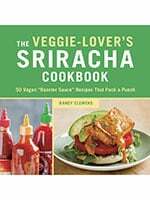 The Veggie-Lover’s Sriracha Cookbook by Randy Clemens – A follow-up to his other hit cookbook. 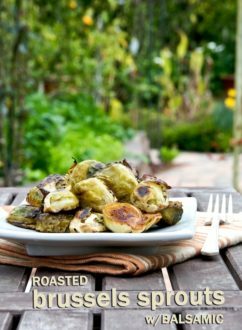 Give your veggies a little zing! 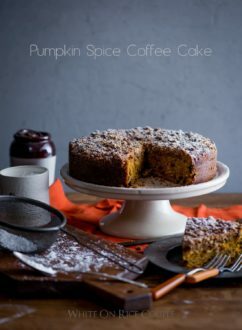 This recipe was originally published in 2009 and re-published in 2018 with a new video and photos. Try this with any of your favorite chili hot sauces. I use a basic 3:1 ratio of mayo to hot sauce because my homemade Chili Hot sauce is not for the light hearted. Adjust your heat level to your personal tolerance. Our personal favorite Sriracha sauce is the one we make at home. Here's a link to our Sriracha sauce recipe. In bowl, combine ingredients until smooth (mayonnaise, Sriracha sauce, lemon or lime juice, soy sauce, and salt). Use as dip or spread for your favorite dishes. Here's an easy homemade french fries recipe. A perfect accompaniment to the Sriracha Mayo. 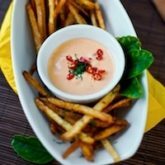 If you want to dip the fries straight into Sriracha Sauce, our personal favorite is the one we make at home. 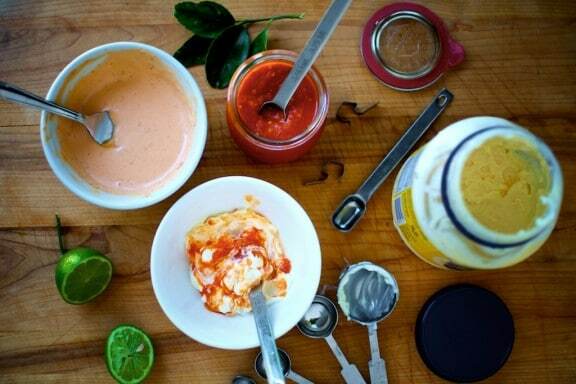 Here's a link to our Sriracha sauce recipe. In frying pan or stock pot, add oil. Heat to about 350°F. Add potato and fry until golden brown. Remove from hot oil and place on paper towel to drain. Season with salt and serve hot. I have been combining hot sauce (mostly tabasco) with mayo for over 30+ years and just recently became a sriracha convert and will never go back I haven’t tried these particular 2 together yet but I know that I’ll love it. Sriracha is wonderful compared to what I used to think was pretty darn good because it has *actual* definable flavors to it instead of all the various, assorted, and sundry hot sauces which just provide HEAT!! I too, like many others, have used this same sauce for years but if you’re feeling really bold, try adding some finely minced garlic. Spicy goodness!!! I just found your site and I made this dipping sauce to go with Vidalia onion rings! It is delish. I can’t wait to try more of your recipes. We substituted Greek Yogurt instead of Mayo…and then added twice as much lime juice and a pinch of black pepper….and it’s YUMMO! Dang. I thought this was an original idea of mine, until I saw your post. But I have to agree – it’s the BEST dip by far, and works with most ANYTHING! Just stumbled onto this amazing site and can’t get off!!! Now, what else would be good with this sauce? I’m low-carbing and thought maybe meat fondue or any good steak but I need ideas folks! Can I put a dash of fish sauce in this? I feel like that would be yummy. Epic- certainly! a dash of fish sauce would make it extra flavorful. OMG – I’ve been meaning to make this. Whipped it up tonight, and we are eating it by the spoonful! I haven’t even made any fries yet! It’s amazing! You mentioned in your article, do you even need a recipe for french fries? I would say yes you do, because perfect french fries are cooked twice and never go limp. Trust me. That is one awesome peeler you have there. 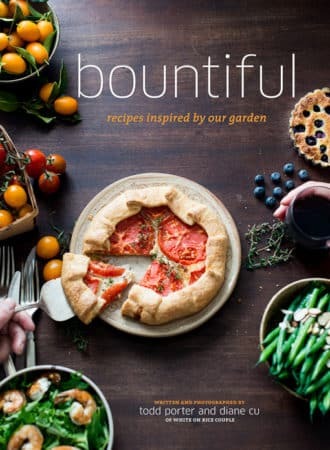 Got to give you kudos for the great-looking photos, makes me want to jump in the kitchen and do something (which I am right now). I discovered sriracha from the NYT article, but here in madrid we only get Flying Goose… I actually prefer to do this one from scratch (eggs & oil). 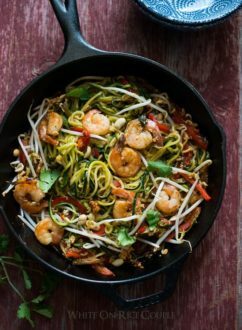 I just discovered your blog (followed you from Phoo-D) and I’m enjoying perusing your recipes and stories. We are hot sauce freaks in our house and I cannot wait to try this! I think you’re going to have a lot of hits on your blog! I linked to this blog on the above-mentioned blog entry, which was picked up by Boston.com on their highlighted blog of the day! Yum! That looks like a great snack. The sriracha chatter has been at an all time high lately hasn’t it? 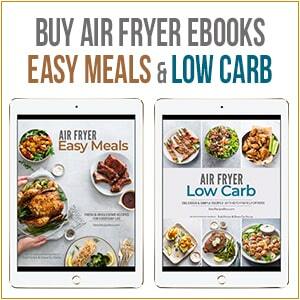 Just discovered your site and spent some good time reading through your recipes! 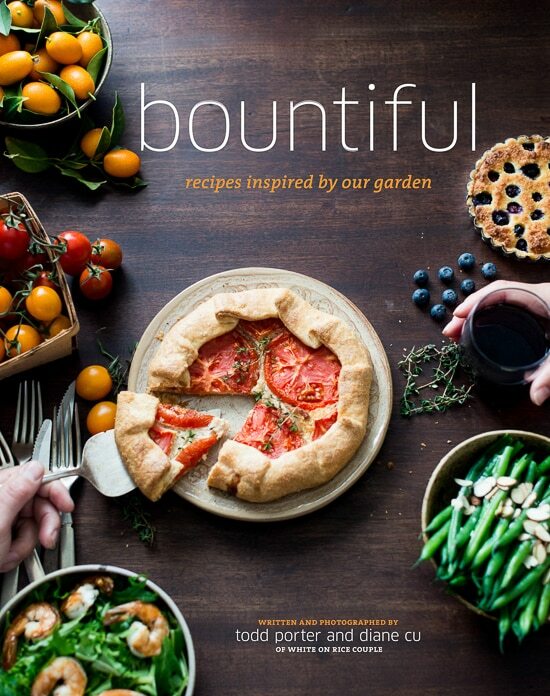 Your photography is beautiful and I’m so jealous of your victory garden! It’s so hot and humid here in HI that all my herbs shriveled up! So sad..
That sauce sounds bomb! 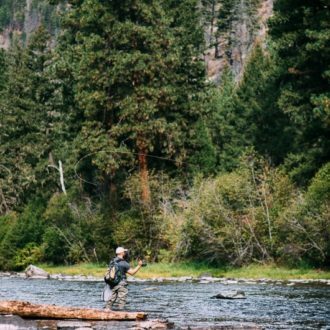 We could see that on a sandwich too–veggie or grilled salmon. Love it! I made the sriracha from your site last week, adding some fresh mangoes I picked up from the tree across the street. It was awesome! I could not find thai chilis, so used a combo of red jalapenos, red serranos, and red habaneros. It was great. On Sunday, I made the pork burgers from Gourmet mag, and put my mango sriracha mayonnaise on them. You gotta try it. Probably be great with the french fries. Gorgeous picture! I’m a big fan of spicy mayo too. Sometimes I mix in chili garlic sauce…yum. I stock both the Huy Fong Sriracha and the Thai one, Sriracha Panich. Will try out this recipe soon! Your presentation here is perfect! Yes, please! These look dangerously good! Great combo there, I’ve done something similar but with Jap Kewpi mayo instead though I think yours would pack a bit more flavour! oh yeah, now we’re talking! fantastic looking creamy hot sauce, even for a complete hot sauce wimp like myself. Love the presentation too, with slices of chillis, and the lime leaves (if that is what they are)..
And.. whilst I am here.. Talk about some great looking fries. Great cut, color. everything. I am now hungry. And I don’t have any potatoes. Darn. Last night I made one of my favorite dishes. Cut new red potatoes in half and steam them. When they are done, take them out of the pan and let some of the steam “melt away” so they are nice and dry, not like potatoes that have been boiled. Next, melt some butter in a pan until it is hot, but not burning. Cook the potatoes cut sides down for a few minutes in the hot melted butter until they are brown and crispy on the cut sides. (If the butter is hot enough when you add the potatoes, the potatoes won’t stick to the pan.) Add a little crunched Maldon Sea Salt, and roll the potatoes once in the butter. I think slathered in your mayo, they would be the bomb. I’m trying it next time for sure! Yum. I love me some rooster sauce! I loves me some sriracha. I’m trying to figure out how to use up the rest of my big bottle in the fridge before I move – I just can’t bear throwing it out. I believe this recipe will def be on the list. Here here. Let’s take the bickering down a notch (cough, cough) and enjoy your delicious mayo sriracha combo! Who needs salsa golf (no offense, Matt) when you’ve got this stuff. I like that you added lime and soy. Great call. You’re my heroine, Diane. Always. OMG. I am so with you on fried potatoes being my “second love” right behind my husband. Chocolate takes a close third, but the fries win out, especially when pared with any kind of mayo. I so feel your hot sauce mustache pain! I did the same thing a couple months back while eating a favorite street vendor’s spicy sauce… only I had horrible lip blisters for weeks. The picture is too delicious looking for words! Can’t wait to try the recipe… and yummy… fries… need I say more?! We do almost exactly the same thing for fries and sushi dipping sauce. We add a little chili powder to it also. I never thought something would compete with wasabi in my heart for a sushi dipping sauce but I do love the stuff. We also eat it in Pho. I can’t handle the ratio you’re using tho! I would put more like a teaspoon to 3 T. mayo! You’re a much braver soul! my condiment of preference has been mayo mixed with thai curry paste (especially with baked, sweet potato ‘fries’). but, i’ll have to give the sriracha version a go sometime. Heer in Belgium every village, town and city have atleast 2 french fry selling shops caleed Friet winkle and for the last few years they have been selling a spicy mayo called samurai and i love them, this looks like that so now i can make them home too. Yes, I’m a member of the cult! One of my favorite ways to use it is in Spicy Mexican slaw where the dressing is a mixture of mayo, Sriracha, and lime juice. 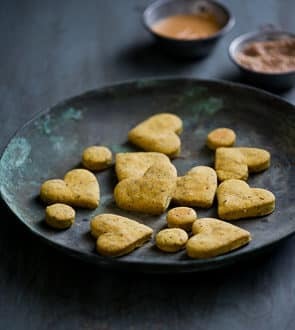 Your spicy mayo is a kicked-up version of Utah “fry sauce” which is served at fast food restaurants here, usually a mixture of ketchup and mayo with some kind of seasoning such as dill pickle juice, a dash of barbecue sauce, or garlic. When we had the Olympics here, there were even collectible fry sauce pins! I just recently read one of those Sriracha articles too! It seems a bit sudden to have this much publicity about them these days. Those fries look exceedingly delicious- such nice browning. And I like how you garnished the sriracha mayo too. I have been glued to the wars also. I like sriracha on almost everything. Especially mixed in with tuna for great sandwiches. Ooooh, those fries look like heaven! I’m a sucker for sriracha sauce too, except I buy mine in a plastic bottle with a rooster on it. Never thought to mix it with mayo, though. Brilliant! Just today, I was having a long conversation with my neighbor about sriracha and why it’s so good, so versatile and we should mix it with mayo and make fish tacos. He had never heard of it. Telepathy in the food world……LOVE LOVE those FRIES!